As New Delhi prepares to welcome US President Barack Obama on Sunday morning, expectations are high about the outcomes of the visit. Obama will be the chief guest at India's Republic Day celebrations on January 26, the first time that a US head of state has been given this honour. It reflects the degree of comfort that is growing between Delhi and Washington. Commenting on the upcoming visit, the newly appointed American Ambassador to India, Richard Verma, said the US president’s visit will usher in a “new era in India-US partnership”. The focus of the visit became clearer earlier this month when the US secretary of state, John Kerry, while speaking at the Gujarat global investor summit, said that there were four burning issues for the two leaders to discuss: cooperation in the civil nuclear sector, climate change, defence and security, and economic ties. 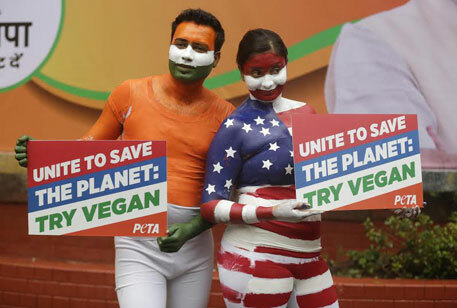 The timing of the visit, on the back of the United Nations climate talks in Lima, is being seen as a key moment for the US to secure India’s backing for a global climate deal at the 2015 climate summit in Paris. Although India is responsible for less than 3 per cent of total global emissions (from 1850 to 2011), and accounts for only about 1/12th the per capita emissions of an average American, it is a large and emerging economy and so its stand at the climate negotiations is considered crucial if a global climate change agreement is to be secured at Paris. There was a clear signal about India’s climate change strategy at the first meeting of the reconstituted Council on Climate Change on Monday January 19. Addressing the senior ministers of his Cabinet and experts from outside and within the government, Prime Minister Narendra Modi called for a paradigm shift in global attitudes towards climate change from "carbon credit" (referring to purely making emission cuts) to "green credit", which includes adopting energy efficient measures and investment in renewable sector (solar, wind and biomass), particularly for developing countries. At the meeting, Modi also called for countries with the greatest solar power potential to form a consortium that works towards innovation and cutting edge research to bring down costs of solar energy further and make it more accessible to people. These remarks ahead of Obama’s visit lend insight into how India would approach the discussions on climate change during the upcoming Indo-US dialogue. The outcome of the dialogue, particularly relating to the renewable energy sector, will guide India in preparing its Intended Nationally Determined Contribution (INDC) in June, according to officials in the Union Ministry of Environment, Forests and Climate Change (MoEFCC). INDCs are the official submissions of every country to the UN that details out their contribution to the global effort in combating climate change. Trade and business is expected to be at a key focus of the Indo-US dialogue. 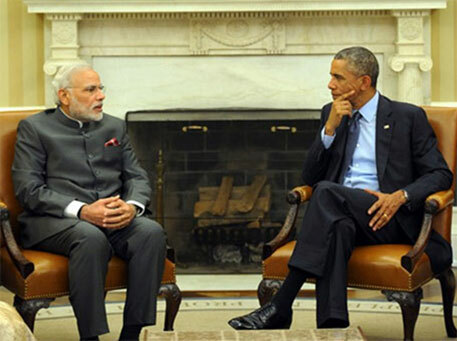 When Modi met Obama last year, they had made a statement of a five-fold increase in annual trade to US$ 500 billion. Obama is expected to participate in a roundtable with the Indian Industry CEOs and there would be a large number of deals announced and steps taken to ease access to the Indian market. Resolving the deadlock in the nuclear energy sector is expected to be another key issue. The two countries had signed a landmark deal in 2008 but what has been holding up the trade is the issue of liability in the event of nuclear accident. It is also expected that the visit will see defence co-production deals signed under the Defence Trade and Technological Initiative (DTTI). The United States overtook Russia as the biggest weapons supplier to India last year and it is expected that there will be new deals to jointly develop and produce a new generation of weaponry.